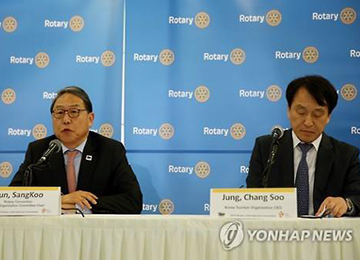 Rotary International’s annual convention will be held in Goyang City, Gyeonggi Province from May 28th to June first, bringing together about 50-thousand Rotary Club members from some 160 countries. The convention organizing committee and the Korea Tourism Organization said on Wednesday in a news conference in central Seoul that about 25-thousand foreigners will visit South Korea during the convention, which would be the largest number of visitors to attend such an event in the nation including international conferences and exhibitions. The convention is expected to generate 292 billion won’s worth of production and 18-hundred jobs. Rotary members are expected to exchange ideas on volunteer projects and strengthen their solidarity at the annual Rotary convention. 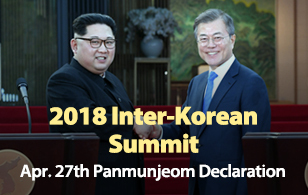 This year’s event is hosted by Rotary International with the support of the South Korean organizing committee.